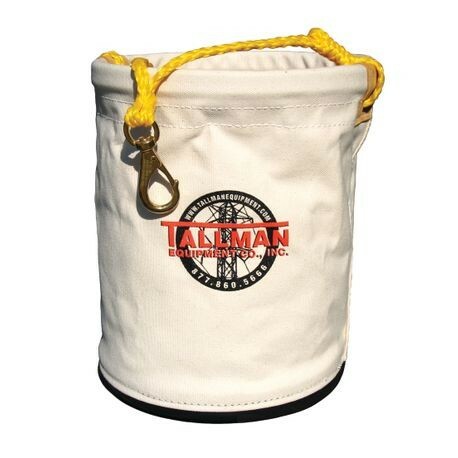 12" x 15" CANVAS TOOL BUCKET | Tallman Equipment Co., Inc.
A heavy duty canvas tool bucket with a PVC ring in top and a polypropylene rope handle with swivel snap. Features a molded rubber bottom. 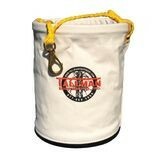 Measures 12″ Dia x 15″ H.